Gnocchi with Chorizo and Cherry tomatoes: fast, easy and so scrumptious! G'day from sunny Brisbane sweet friends! Welcome to my little bloggy home Down Under! Well, it's been as hectic as ever around here. School has been an endless cycle of teaching, grading papers, updating files, maintaining student records, teaching, grading papers....I'm sure you get the picture! I've also been helping Alastair get prepared for all of his school work and assessment and amidst all of this chaos Madeleine has returned home from university for a quick break! It's been a crazy time but I'm still loving it! One thing that keeps me organised and sane at these busy times is having a collection of healthy '15-minute meals' that can be whipped up in a few minutes. This recipe for Gnocchi with chorizo and cherry tomatoes is one of my favourites because it is fast, easy and so scrumptious! This is one of those no-fuss recipes that is ideal for a busy weeknight. It's also become a favourite for Madeleine to prepare in her tiny little studio kitchen down in Canberra. You can easily leave out the meat to make it a vegetarian dish or mix in another meat like bacon or prosciutto if you don't want anything too spicy. 2 punnets of cherry or grape tomatoes, washed. Keep one punnet of tomatoes whole and slice the others in half lengthwise. First, prepare and cook the gnocchi according to directions on package in salted water. I under-cook mine so they finish cooking in the pan. 2 minutes is plenty! Drain and coat with a drizzle of extra virgin olive oil. While the gnocchi is cooking heat a large frying pan or skillet on medium heat with a another drizzle of olive oil. Add the garlic and onion and cook for 1 minute then add the chorizo. Combine and cook for 2 to 3 minutes. Then add the basil and tomatoes and cook for another 1 to 2 minutes. Now, stir in the pre-prepared gnocchi and cook just until all is combined. Some of the tomatoes will have broken down to become a 'sauce'. Try to ensure that some tomatoes remain whole. Season to taste with salt and pepper. Quickly add the rocket. Combine the ingredients and turn off the heat once the rocket has wilted. Remove the skillet from the heat and stir in the basil. Season to taste with salt and pepper and serve immediately with some parmesan cheese. How's that for a fast, easy and scrumptious 15 minute meal! I hope you give my Gnocchi with Chorizo and Cherry tomatoes recipe a try soon! To check out some more of my favourite recipes please have a look at my 'Delicious' board on Pinterest! Follow Natasha in Oz @ natashainoz.com's board Delicious on Pinterest. I also hope you will be back again on Sunday to join me for my weekly Sundays Down Under linky party! 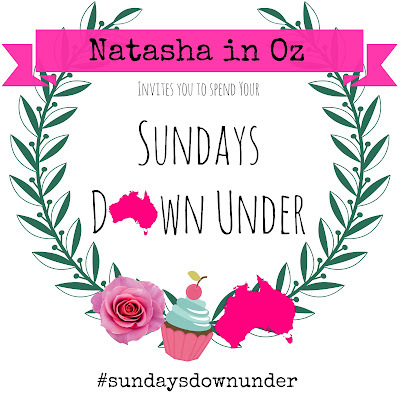 If your posts are family-friendly they are welcome at the Sundays Down Under link up! Thanks for visiting today. I hope you have a beautiful day!